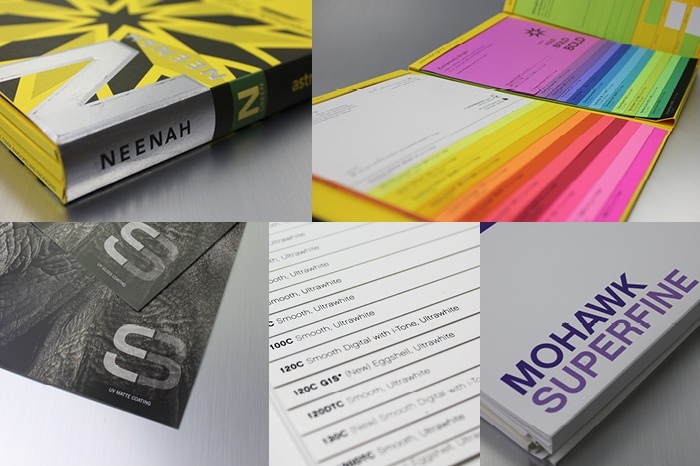 Uncoated paper has no extra coating or paper finish, has no glare and is ideal for projects that will be written on. It is also very porous and will absorb more ink. 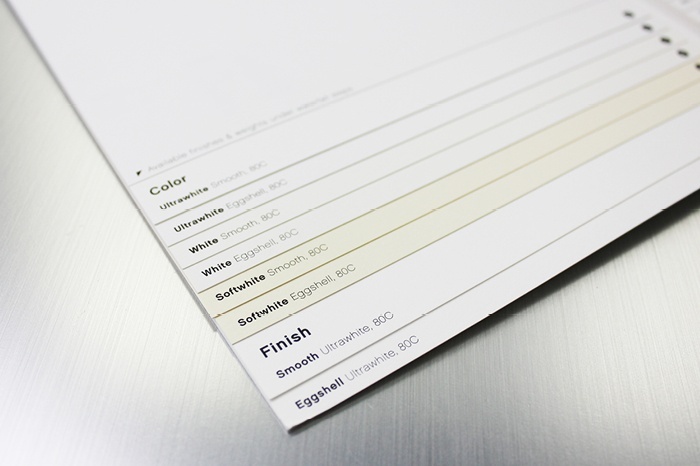 Coated paper finishes can range from dull/matte to very glossy. 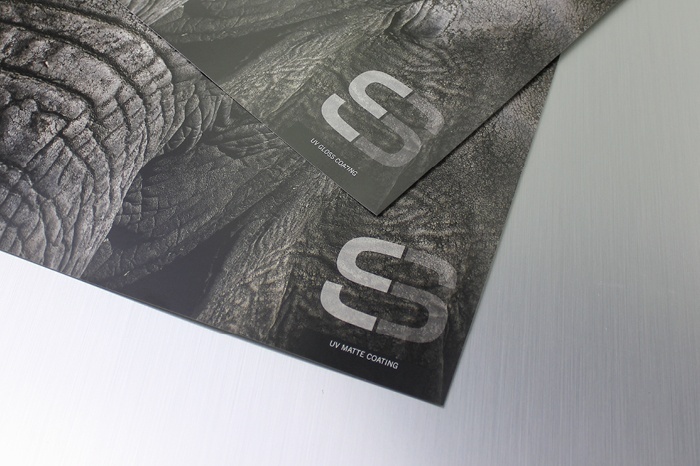 They provide a smoother presentation, higher opacity and hold the ink closer to the surface for a more defined image than uncoated papers. Coated papers are available coated one side (C1S) or coated two sides (C2S). Paper can come in almost any color imaginable. Choice of a colored paper is important as it can affect the reproduction of lighter tints of ink. The four-color CMYK printing process reproduces most accurately on neutral white paper. 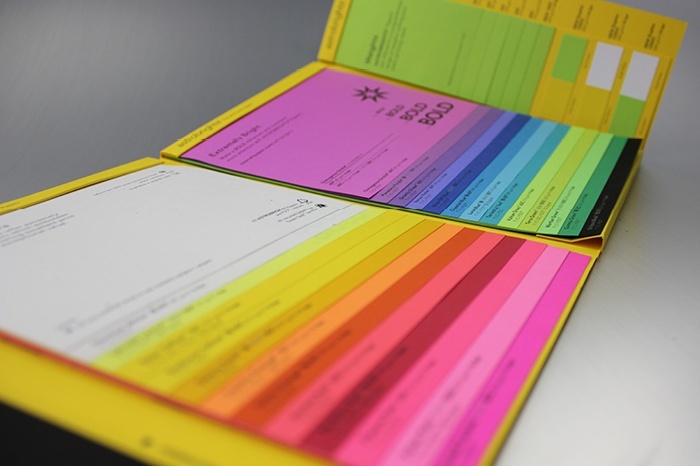 But you could reduce costs of a project by using a colored paper and printing with only one ink color. Paper weight tells you how much 500 sheets of the product weighs in each category before it gets cut down. Two of the most common categories you will likely use are text and cover. 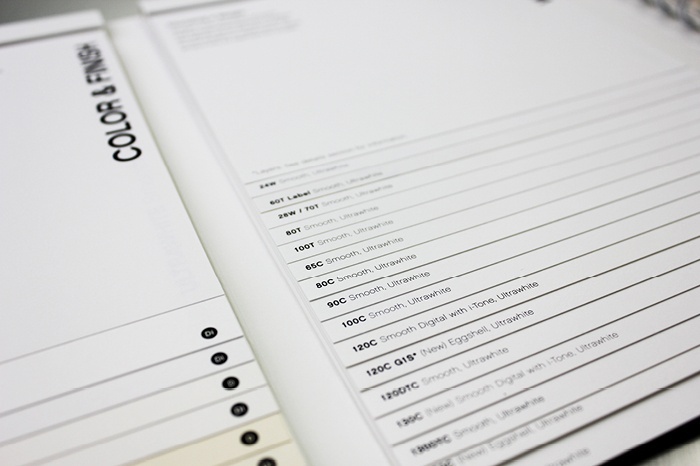 Text is used for collateral like letterhead and brochures, is weighed at the original size of 25” x 38”, and usually comes in weights of 50, 60, 70, 80 and 100 lbs. Cover is a thicker cardstock typically used for things like business cards, menus, and postcards. It's weighed at the original size of 20” x 26” and weights range from 60 to 120 lbs. But remember since they are different categories of paper, their weight categories are not equal to each other! A 60lb cover is much thicker than a 60lb text. Also two different mills with papers of the same weight can still feel different due to the way the paper is made. Need help narrowing down your paper choices? 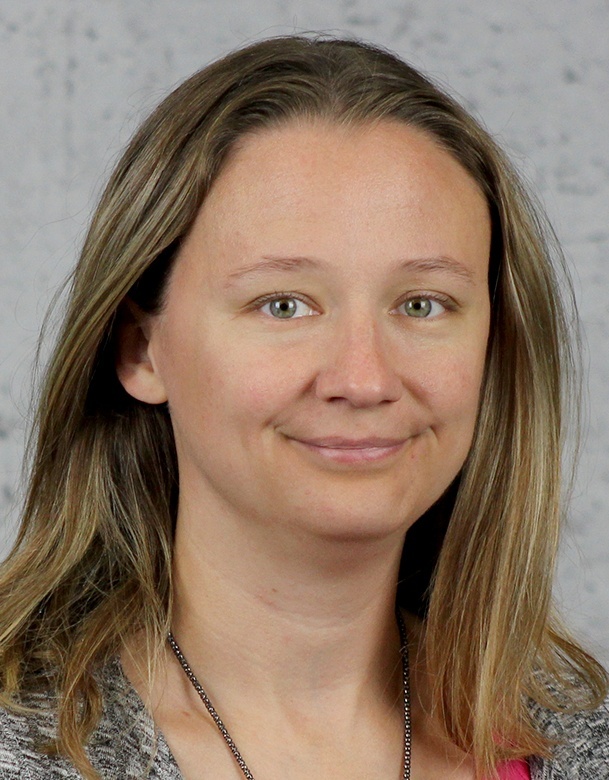 See our other blog on paper selection considerations.